NEW YORK—After inducting the Ski Club and the Outdoors Society this spring, Student Organizations notes progress and looks forward to several more new orgs next year. Already this semester The King's Debate Society hosted its own tournament, Mock Trial excelled in its competitions, King’s Theatre welcomed an outside director and the cross-country club changed its name to the Running Club. In addition, King’s hopes to create a wrestling club and a yearbook club next semester. 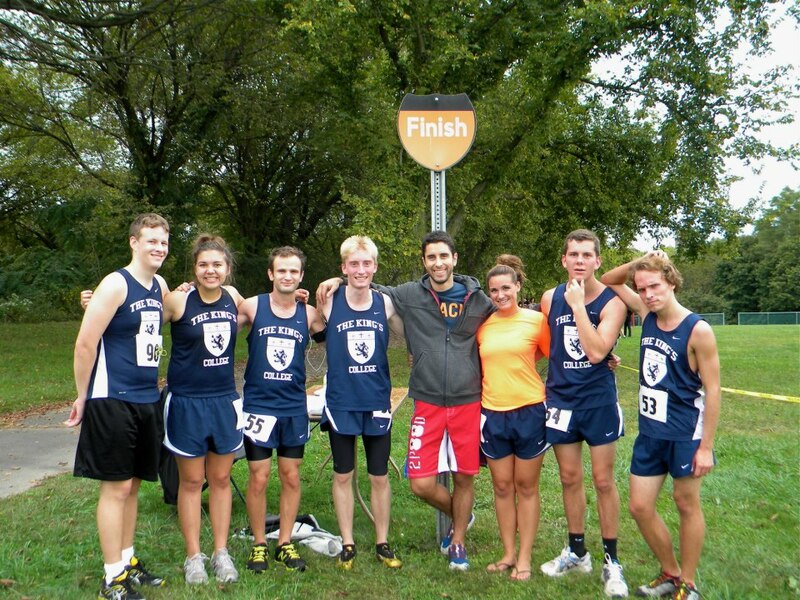 The Running Club has actually been around for about 2 ½ years at King’s, but club president Brandon Santulli (’15) decided to officially change the name last semester from King’s Cross-Country to the Running Club in an effort to make it sound less intimidating. “I’ve always loved running, it’s a great de-stresser for me and it’s just a great way to bond as a community… It’s just me, the road and God—and then random people I run into when I space out,” Santulli said. Santulli, who became captain of the cross-country team after former leader Tiffany Owens left the school, named April Cisternos vice president and Mark Greben treasurer, two new positions for the club. Instead of only competing against larger schools like Princeton like the cross-country team in the past, the Running Club will be receiving school funding to participate in local races to make competing more feasible for students. King's Athletics is also working with the Running Club to allow members to compete in the same league in which the King’s basketball team competes. In addition to their recent lunchtime bake sale fundraisers in the fishbowl, they are looking to expand their fundraising efforts. The team has also doubled in size to around 10 dedicated runners, and Santulli encourages all interested students to push themselves and give it a try. Director of Student Orgs AJ Aran has been meeting regularly with org leaders to talk about their plans for this semester and for the next academic year, and has been giving them succession packets to help them plan for the future. Student Body President Sam Tran is also searching for people interested in starting organizations, directing them to Aran so they can bring their ideas before the council and officially apply to create an organization. Tran and Aran have been working to simplify the process of creating an org. “So if you have an idea for an org, we’re trying to streamline the application so that it would help more organizations get started and more organizations run," Tran said. "I think right now it’s a bit clunky for what we need, so we’ve been working on that and I think that’s really exciting."